for decades, man have soar across the sky, but the thing is, there is really nothing to see up there. it’s just blue sky (or black if its night time), clouds and more clouds, which is why flying is pretty much relegated to transportation. 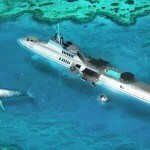 so if you want some seriously mind-blowing sightseeing beyond land, then going down to the underwater wilderness is your only other option. 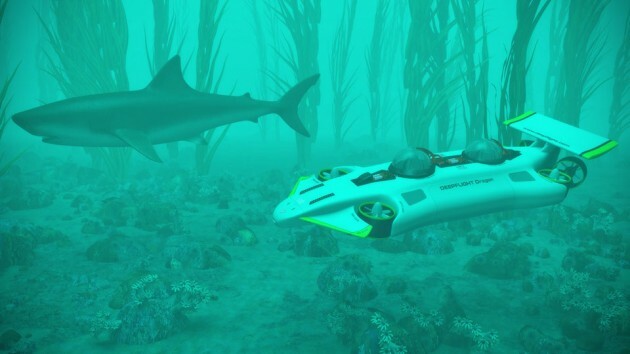 that said, piloting a submersible is viable route, but only if you are trained to do so and that’s not to mention that you probably won’t be able to buy one that doesn’t look like a scientific sub. 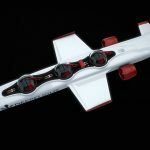 those limitations are what spurs a seasoned team of designers and engineers behind an outfit called DeepFlight to develop a new type personal submarine that’s kind of like a mash between a submersible and a high performance aircraft, that will let you ‘fly’ underwater. 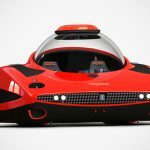 started in 1996 by renowned ocean engineer and part-time Bond villain Graham Hawkes, who built and piloted the submarine in the 1980s James Bond flick, For Your Eyes Only, DeepFlight’s latest underwater transportation is called Dragon and it looks more like a flying vehicle of the future than a submersible. from the top, it looks somewhat like a Formula or GT car, complete with spoiler, fins and all. 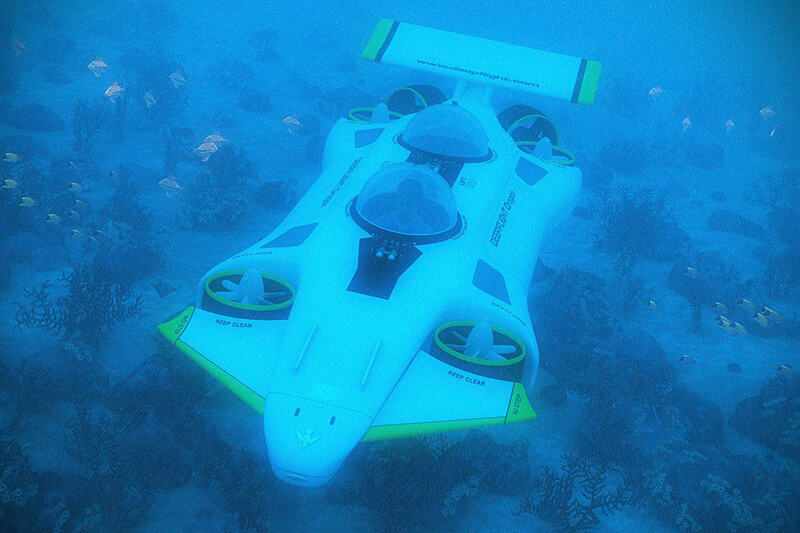 but in place of wheels, it has four brushless DC thrusters in addition to main horizontal thrusters, powered by an underwater lithium battery pack that offers up to 6 hours of operation in between charges. the real kicker here is, you are the pilot and you get to bring a person along. 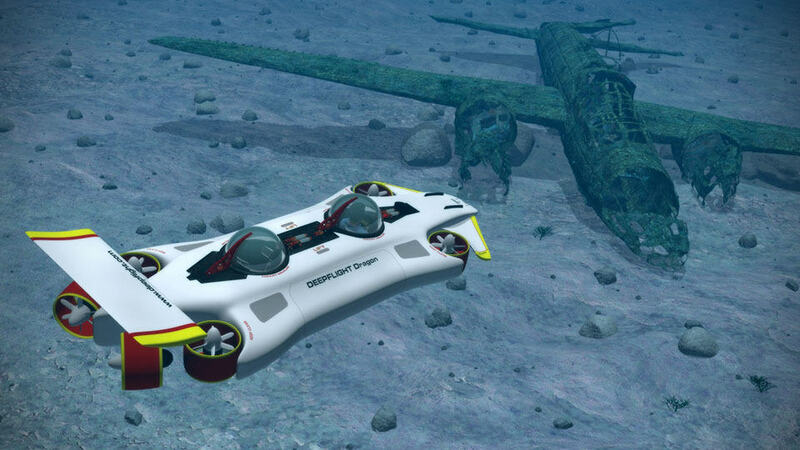 there is a DeepFlight Dive Manager onboard that monitors and manages critical functions associated with diving in a submersible, thereby negating the need for a pro. this means you are in total control and you get to enjoy the freedom of roaming the deep sea as you see fits. 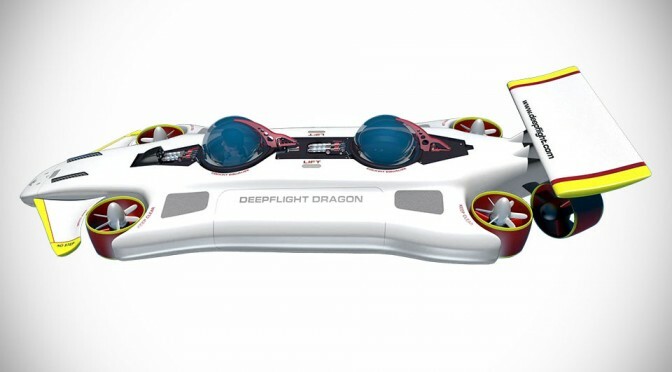 unlike most personal sub, the Dragon is positively buoyant, which means it needs no ballast and in the event of malfunction or such, it will naturally float back to the surface. it uses the aerodynamic principles to maneuver underwater and is the first of DeepFlight’s submersibles to boast hovering capability that allows it to navigate around complex underwater obstacles. just think of it as an underwater quadcopter which it essentially is. 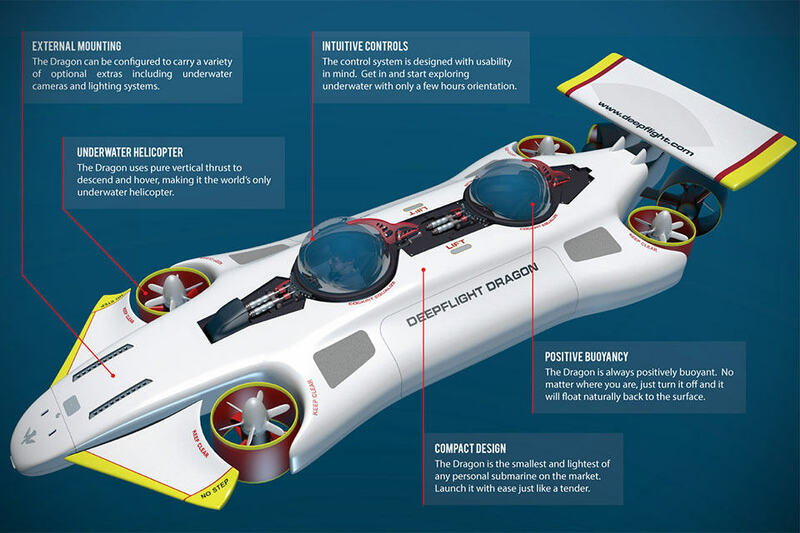 the Dragon is designed to be deployed from a yacht or the shore and is capable of diving to 400 feet (120 meters) and cruise at up to 4 knots. 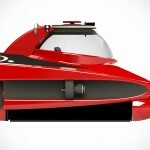 it weighs in at 4,000 lbs (1,800 kg), and it is under 4 feet tall and roughly 16.5 feet long, which makes it suitable for storage in yacht garages or deck areas. now, the good news for all Scrooge McDuckians out there who have a taste for deep sea adventures; the DeepFlight Dragon Personal Submarine is open for reservation now and it will empty out a cool $1.2 million from your ridiculously deep pockets.